Midwives are being forced to rely on American guidelines when informing women about the amount of weight they should gain in pregnancy, it has emerged. The Royal College of Midwives (RCM) said that midwives had to “use their own initiative and refer to American guidance”. The comments come after a new study, published in the journal Diabetologia found that women who put on excessive weight during pregnancy are more likely to have children who are overweight, suffer high blood pressure and insulin resistance – a precursor to type 2 diabetes. Earlier this year the College called for UK guidelines on what constitutes a safe weight gain in pregnancy. The National Institute of Health and Care Excellence is in the process of updating 2010 guidelines. As part of the update, officials are considering whether evidence supports the use of America’s Institutes of Medicine’s guidance on weight gain in pregnancy for the British population. The guidance states that overweight women should gain between 15–25lb in pregnancy and normal weight women should gain 25–35lb. Commenting on the research Mandy Forrester, head of quality and standards at the RCM, said: “During pregnancy women are very receptive to messages and advice about weight management issues and midwives can have a real impact on improving women’s health and wellbeing. 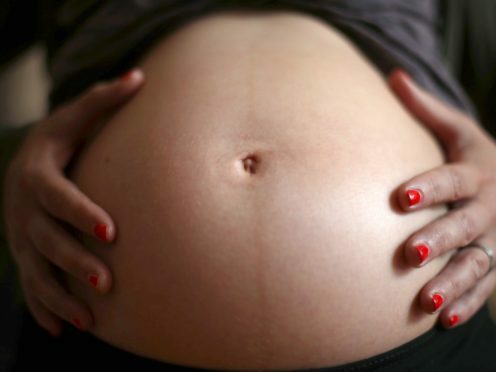 “This research highlights the need for guidelines on weight gain in pregnancy in the UK. “The RCM and Slimming World issued a call in July for UK guidelines on what constitutes a safe weight gain. “Without this midwives have to use their own initiative and refer to American guidance. “There is a clear need for midwives to have the tools, guidance and training they need so that they can offer women the best possible support and care. “This is especially pressing because of the potentially serious complications that can arise in pregnancy as a result of women being overweight or obese. It is a real concern that some midwives do not have access to that most basic piece of equipment, scales.